The number of space objects such as satellites, spacecraft, and debris are increasing significantly, and so is the need for tracking them for security and collision avoidance purposes. In this context, as parallelism is becoming a new paradigm, the need of implementing high performance propagators remain unmet. For this, we implemented Simplified General Perturbations No. 4 (SGP4), a popular analytical orbital propagator, in OpenCL. 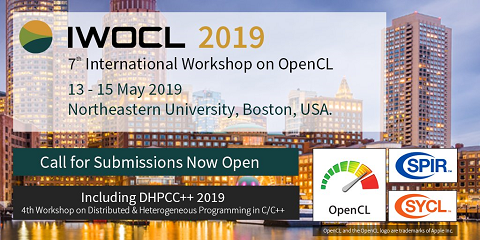 OpenCL is a rising high performance and heterogeneous computation paradigm aimed to take the best of the processing elements on a given platform, in a parallel fashion, regardless of the underlying architecture. Despite some considerations had to be taken, we prove that our development shows no significant calculation differences, while not only being hardware independent, but also boosting the performance notably by two orders of magnitude in several scenarios.